The group has previously investigated locations like the Old Shelby County Jail, and in Preble County, the Sayler-Swartsel House, Buckeye Jake’s, the Brown Memorial Library, and others. MLP’s most recent investigation took place on Saturday, Sept. 29, at the Van Ausdal-Donohoe House in downtown Eaton. The Van Ausdal-Donohoe House is a registered site, with an Ohio Historical marker. This mid-19th-century structure, built in the Federal style with Italianate detail added later, was once owned by town pioneer and merchant Cornelius Van Ausdal. It was later the home of his daughter Lucinda, her husband Joseph Donohoe, and their four children. Presidential candidate William Henry Harrison reportedly stayed in the house while he was in Eaton to deliver a campaign speech on Sept. 8, 1840. Lucinda Donohoe reputedly also hosted circuit-riding preachers here and owned the area’s first piano. From 1938 to 1966, this building housed Mrs. Wagner’s Colonial Kitchen, a nationally recognized restaurant. Midnight’s Light Paranormal was contacted by the current owners of the Van Ausdal-Donohoe House, who said they had several experiences they thought might be paranormal and about which they wanted the team’s expertise. “There is a lot of history and paranormal activity here. The guy actually contacted us and tell us about all the experiences they’ve had. They have had stuff fly off the walls, mists and all kinds of stuff — they’ve heard voices, and cabinets opening up. 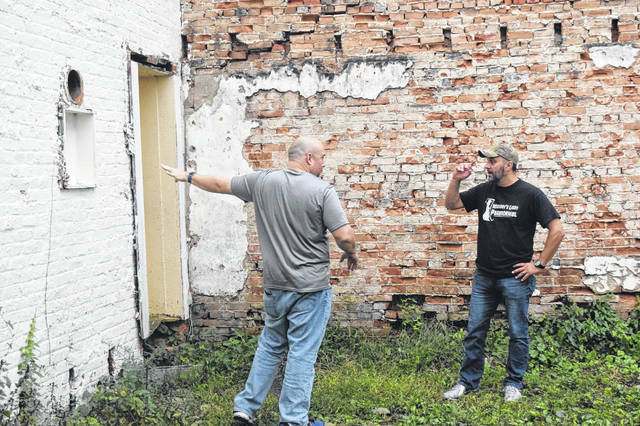 They told us about it and with the history of the building being an Ohio Historical Marker, we were interested,” team member Devin Shiverdecker said. “We go and we gather information on the history of the location, we do interviews with people who have experiences there, or own the buildings, and we try to gather as much information as we can. 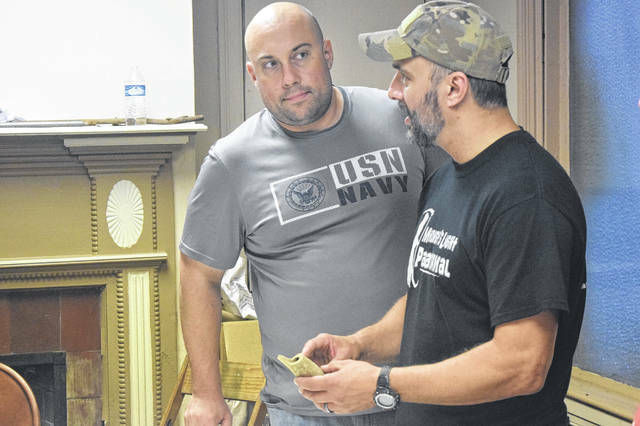 What we do is, we go on investigations and bring all our paranormal investigation equipment. We stay over night until 3 or 4 a.m. and we run experiments to see if we can capture any evidence on video or audio equipment,” Shiverdecker said. When the team visits a location, they start by staking out the area and deciding where to place their stationary cameras for surveillance station. They send their investigators out in groups to use the equipment and see what they find. The team hopes to capture voices, anomalies, orbs, or any other abnormal energy reading. For the Shiverdeckers, the paranormal world is something they have always been interested in, because of their father, who works as their team medium. “I have always been into the paranormal thing, because of my father. We’ve watched the shows and it is a satisfaction when you get something. You feel like you’ve made a real connection,” Sage Shiverdecker said. Midnight’s Light Paranormal has an active Facebook and YouTube. Once edited, a video episode on the Van Ausdal-Donohoe House will be posted there.